"This pasta is a cheese lover's dream! 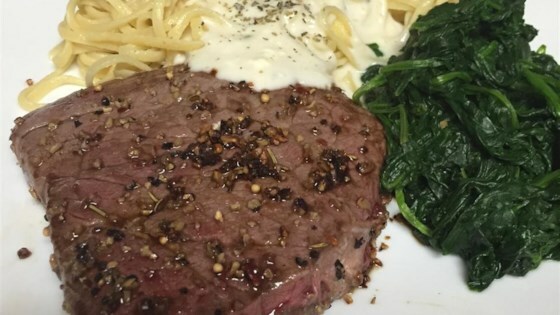 The sauce is super creamy, and the Gorgonzola cheese just puts all the flavors to the roof!" Bring a large pot of lightly salted water to a boil. Cook angel hair in the boiling water, stirring occasionally until cooked through but firm to the bite, 4 to 5 minutes. Drain, reserving 1/2 cup of the water. Return drained pasta to the pot. Whisk milk and flour together in a large nonstick skillet; add cayenne pepper, salt, and black pepper. Heat milk mixture over medium heat while whisking continually until bubbling and thickened, about 5 minutes. Sprinkle Gorgonzola cheese into the milk mixture, stirring continually to melt the cheese into a sauce. Stir green onions into the sauce. Pour reserved water into the sauce; stir. Pour sauce over the cooked pasta and toss to coat.